On 29 November, 2018 in the Ministry of Foreign Affairs of Turkmenistan was held a meeting with delegation, headed by the Regional Director of European Bank for Reconstruction and Development (EBRD) in Central Asia Mr. Neil McCain, who has arrived to Ashgabat with a work visit. In the beginning of the meeting Turkmen side expressed their gratitude for the EBRD representatives’ active participation in various international forums, which are organized in our country. Then the sides noted progress of an active cooperation between Turkmenistan and EBRD. During the negotiations, the sides discussed main results, which were reached during the previous strategic periods. 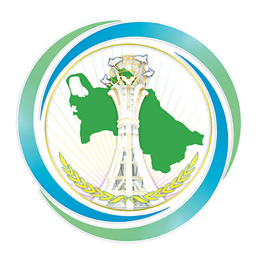 The heads of delegations also considered the following questions, related to familiarization with a strategic project for Turkmenistan for the period of 2019-2024 years, which is suggested by the European Bank for Reconstruction and Development. Moreover, the representatives of the delegations, by highly appreciating the effectiveness of performed works, exchanged their views on the bilateral and regional cooperation between Turkmenistan and EBRD.